Your safari is designed to fit with your individual requirements. 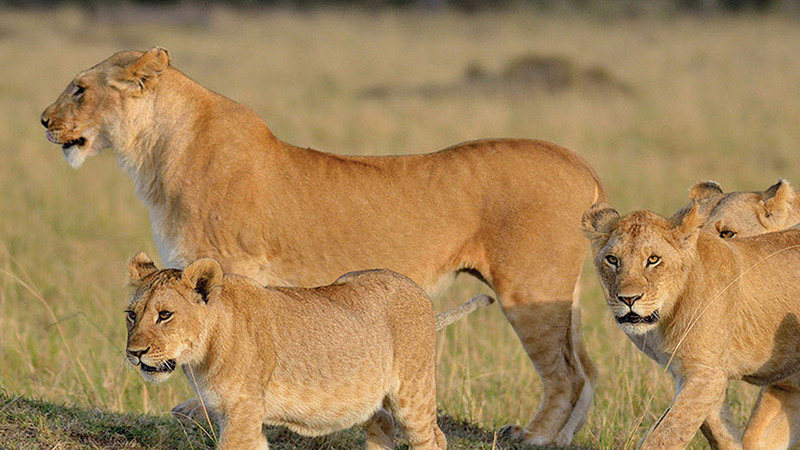 The Serengeti is home to some of the most abundant wildlife populations in the world. Sightings of the “big 5” on game drives are almost guaranteed, while from camp the horizons are always busy with plains game. There are several prides of lion in the area, and it is even possible to see the more elusive leopard, who have established their territories around the camp. Our in camp guides are professional with excellent local knowledge, which they always enjoy sharing with our guests. Picnic lunches can be taken on longer game drives and enjoyed al fresco, while out exploring this vast and diverse area. Early evenings can be enjoyed over sundowner drinks in discreetly selected spots away from camp; or after a game drive and hot shower, around the campfire. The dining area offers a more intimate setting for our delicious home-cooked meals. We have a selection of house wines from the famous wineries of South Africa. Bread, cakes and pastries are all baked in camp, while fresh produce is flown in regularly. We aim to produce healthy, balanced and enticing menus, and are happy to cater to your individual requirements. If you wish you can dine privately on your own verandah, whilst enjoying the personal service of our helpful, well-trained staff. Game drives in 4-wheel-drive vehicles: Ideally these are at dawn and dusk, before and after the heat and stillness which prevails around the middle of the day when the animals (and most people) take a rest. You will make your own personal plan with your guide when on a private safari. Bush meals: We can arrange for you to have breakfast or lunch al fresco, so you can feel the warm wind and hear hippo grunting in the background, while bright-coloured birds hop daringly close in search of crumbs, and a passing herd of Impala pauses to take a long look at you. Dining beneath the stars offers a completely different African experience that can be as romantic, peaceful, or sociable as you wish. Our staff are friendly but unobtrusive, while the food is of a high standard. Sundowners: Experience glorious sunset skies and bird’s eye views with the drink of your choice in hand. Watch the colours fade as the first stars come out, while you listen to the sounds of the African night fill the gathering darkness. Exclusive Game Drives: You can book your own exclusive vehicle for an extra fee per day. Please give us advance notice. This gives you total flexibility, which is essential for any amateur or serious photographer. Guided bush walks: It is not permitted to walk from the camp in the national park, but with prior notice we can arrange for you to walk with an armed ranger and your guide. Hot Air Balloon Ride with Champagne Breakfast: Rise above the wakening plains and forests at dawn and experience the thrill of watching the animals from above. A champagne bush breakfast is served when you come back to earth!